The Masters chair is a powerful tribute to the three chair-symbol, re-read and re-interpreted by the creative genius of Starck. The "Series 7" by Arne Jacobsen, the "Tulip Armchair" by Eero Saarinen and the "Eiffel Chair" by Charles Eames interweave their unmistakable silhouettes into a sinuous hybrid giving life to a fusion of original and engaging styles. On its four slim legs, the Masters chair is roomy and comfy. The special finishing on the chair makes it feel sensual and velvety to the touch. 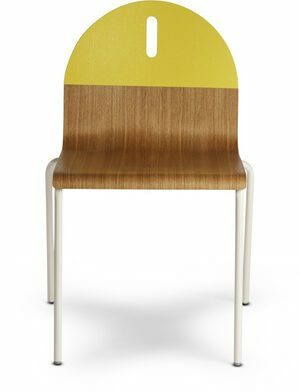 The back of the chair is naturally its most distinctive feature characterized by the fullnesses and empty spaces created by the curvaceous criss-crossing lines of three different backs which descend to meet together at the seat edge. The Masters is light, practical, comes in various colors and can be stacked and used outdoors as well. The Masters chair was honored with the prestigious "2010 Good Design Award" presented by the Chicago Athenaeum - Museum of Architecture and Design.